"During Wednesday evening he confessed to Mrs. Shenneman, the widow of the dead sheriff, that he was Charles Cobb, and gave her his revolver. 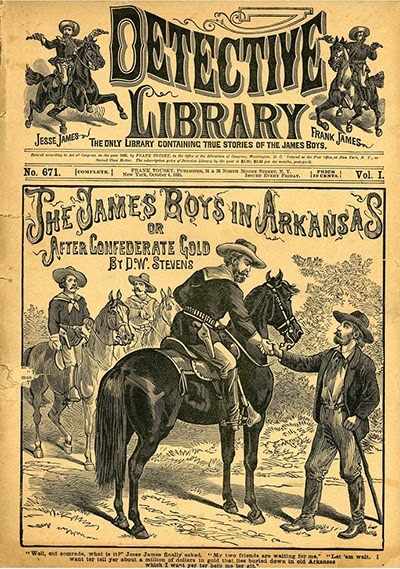 Subsequently he stated to Shenneman that he had been led to the committal of the lawless act by reading the exploits of Jesse James and other desperadoes..." (Arkansas City Weekly, February 7, 1883). "A Jefferson County constable tried to arrest a young person by the name of Charles Cobb on Saturday, January 13, 1883. Jefferson County is northeast of Topeka. Cobb was wanted for promiscuously brandishing a knife and a revolver at a country dance the week before. Instead of surrendering, Cobb whipped out one of his deadly six-shooters and killed the constable. After the shooting, Cobb mounted a horse and rode off in a southwesterly direction. Possibly he was making for Hunnewell, Kansas, and from there to take the cattle trail to Texas. "Sheriff Shenneman received a telegram from the authorities stating that the fleeing murderer would probably pass through or near Winfield, and to intercept him if possible. 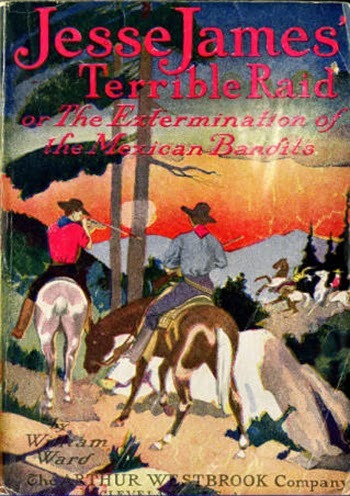 Shenneman circulated cards giving the desperado’s description and offering the usual reward for his capture. "Cobb carried a Winchester rifle and many other weapons, and if he was recognized during his flight, the invitation to tackle a perambulating arsenal was declined. "Charles Cobb came to Winfield during the morning of Monday, January 15th, and then traveled north toward Udall. He was seen by a farmer to stop near the corner of Mr. Worden’s farm in Vernon Township and read the placards located there. One of them was of himself. "The fleeing Cobb stopped at the Jacobus house, in Maple Township, in the evening. Cobb told Mr. and Mrs. Jacobus that his name was Smith and that he had just come from Texas with a herd of cattle. He further stated that he was seeking work till spring. They told him they did not need help then. Cobb then asked if he could pay board and stay a week, so he could look around. Jacobus agreed, and received payment for a week’s board. Mr. and Mrs. Jacobus testified later that Cobb had a shotgun in his possession and noticed he always carried a revolver and slept with it under his pillow. They thought this was simply his 'cowboy ways' and let it pass. "On the Sunday before the shooting Cobb showed some boys his skill as a marksman. Cobb was breaking bottles thrown into the air with a single shot from his revolver. "The schoolmaster, who also boarded with the Jacobus family, received one of the description cards sent out by the Sheriff. He came to Winfield and informed the Sheriff of his suspicions on Monday evening, January 22nd. That same evening Shenneman informed a friend that he had located his man and in less than twenty-four hours would have him in hand. The Sheriff was cautioned to be careful as the boy was clearly a desperate character and would shoot to kill. Shenneman said he would go prepared and could shoot as quick as anyone. On Tuesday morning about nine o’clock the law officer put his Winchester in his buggy, strapped on his revolver and left for the Jacobus house. "Mrs. Jacobus stated that on Tuesday morning, January 23rd, Cobb’s week’s board was out so they relented and hired him to work. As they were all sitting at lunch, some one drove up and called Mr. Jacobus out. He soon came back and said that Dr. Jones, of Udall, was out there and would stop for lunch. Dr. Jones was an assumed name used by the Sheriff. Charles Cobb was all this time sitting at the table. Mr. Jacobus - and the man introduced as Dr. Jones - passed through the kitchen and the 'doctor' looked very sharply at the prisoner. The two men went into the other room and Shenneman pulled off his overcoat and threw it on a chair. About this time young Cobb got up from the table, took his hat and gloves and started toward the door. "Mr. Shenneman then sprang upon Cobb from behind. A scuffle followed and they fell to the floor. Two shots rang out with both bullets lodging in Shenneman’s stomach, but he continued to hold Cobb. Mr. Jacobus ran in and took the pistol away from the prisoner and told him to give up or die. "The Caldwell paper reported 'At all events, it appears to be certain that when the latter (Cobb) got through, he started to go out, when the sheriff, thinking he was likely able to handle what appeared to be a mere boy, threw his arms around Cobb from behind. The latter managed to get hold of his self-cocking revolver, and pointing it backward, fired, the ball penetrating the sheriffs bowels.' The prisoner then cried out that he would give up, not to kill him. Mr. Shenneman then said, 'Hold him, he has killed me.' The sheriff staggered into a nearby bedroom and fell onto the bed. Jacobus and the school teacher, after tying up the prisoner, went to assist Shenneman. "Sheriff Shenneman later said that as he looked at the fugitive, he decided that he wouldn’t pull a revolver on such a mere boy. He would catch Cobb and hold him while the other fellow disarmed him. After the Sheriff grabbed Cobb, he found that he couldn’t handle him. "Sheriff Shenneman could not be moved. Plans were made to bring the prisoner to Winfield in the Sheriffs buggy by Cowley County Deputy Taylor and Undersheriff McIntire. A wagon-load of men, having heard the news and intent on seizing Cobb, met them that evening about a mile from town. The Sheriffs buggy was lighter and the team faster, so the officers outdistanced and lost the pursuers. "The officers came into town in a roundabout way and unloaded their prisoner just back of D. A. Millington’s residence. They went through the back yard into Rev. Platter’s wood shed. Cobb was held there by Deputy McIntire while Taylor scouted around. Taylor found that the jail was surrounded by a mob, which had spread out and was also patrolling the alleys in the vicinity. "Deputy McIntire in the meantime was holding the prisoner in the wood shed, and they could hear footsteps prowling around the area. The prisoner said he wanted to be shackled to him and given a pistol; then he would go into the jail. George McIntire wouldn’t accede to that request so Cobb hunted around and got a smooth stick of stove wood. Soon the crowd around the jail was distracted and the mob rushed to another part of town. The officers seized the opportunity and hurried the prisoner over and put him in jail. "The Courier reporter and other Winfield folks returned by way of Udall where the train had been held for them. An immense crowd had gathered at the depot expecting the prisoner to arrive in that way. They made a rush for the coach. They were, with difficulty, persuaded that the man was not there. It was not a crowd of howling rabble but an organized body of determined men. They were bound to avenge the brave officer to the last drop of blood. "The crowd then marched up the main streets of the city. They scattered guards out onto the roads over which they expected the prisoner to arrive. Others watched the jail while hundreds gathered on the streets in little knots and discussed plans for capturing the prisoner from the officers. "One more venturesome than the rest went about with a large rope on his arm and blood in his eye. The crowd surged too and fro until long after midnight when they began to thin out. Under the influence of more sober-minded citizens, they gave up their ideas of mob violence. About this time McIntire and Taylor appeared on the street and the few remaining citizens were eager to learn the whereabouts of the prisoner. Little was learned before morning and even then the location where he was being held was known to only a select few. "On Wednesday morning, January 24, 1883, a Courier reporter learned of the prisoner‘s whereabouts and interviewed him. The reporter copied the following description of the Jefferson County murderer that was telegraphed to the Sheriff. "The prisoner crouched in a comer of a small room. After introducing himself, the reporter asked the prisoner for his story of the trouble. He said: 'My name is George Smith, and I am about eighteen years old. 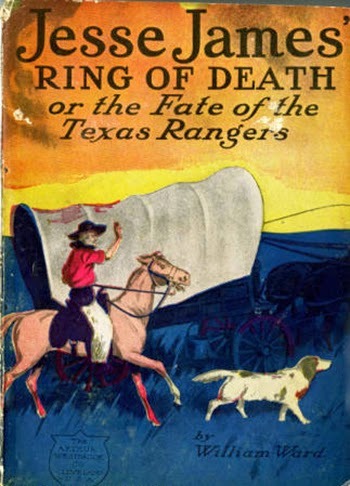 I came up to Dodge City from Texas with a herd of cattle, in the employ of W. Wilson. Have been on the trail about a year. My parents reside in Pennsylvania. I was paid sixty dollars when the cattle were shipped. “'I had a revolver on my person because I was among strangers, had some money, and was used to keeping it about me. If he had only told me, he was an officer, and had put his gun on me as he ought to have done if he believed I was the desperate character I am credited with being, this business would never have happened. "The prisoner was taken to Wichita later Wednesday afternoon by deputy Finch and confined in the Wichita jail. The lawmen wanted him out of the way of violence in case of Sheriff Shenneman’s death. "On Thursday morning, January 25, 1883, the Sheriff of Jefferson County arrived, accompanied by a farmer who lived near Cobb and knew him well. They identified the prisoner as Charles Cobb. Cobb feigned not to know his old neighbor and still stuck to his cow-boy story. "Sheriff Shenneman died Thursday evening at 9:45 p.m., in Udall, Kansas. "On Saturday morning, January 27th, Sheriff Thralls of Sumnner County, Sheriff Watt of Sedgwick County, and Cowley County Deputy Taylor brought Charles Cobb back to Winfield in a carriage. Parties on the north-bound train passed them between Mulvane and Udall. "This news electrified citizens in the community. In the evening about two hundred resolute men gathered at the crossing. They boarded the incoming train thinking that Cobb might have been put aboard at some way station, but he was not found. The vigilantes returned to the city and placed squads at each bridge and on streets surrounding the jail. "The carriage with the prisoner arrived about eleven o’clock. The officers came by way of the ford at Tunnel Mill, thus enabling them to avoid outlying pickets, and drove to the crossing of Fuller street and Eleventh Avenue. Deputy Taylor was then dispatched to the jail to see how the land lay. He arrived just after a squad had searched the jail for the prisoner Cobb. Taylor quickly returned with the news that it was certain death to put Cobb in the jail. "Sumner County Sheriff Thralls and Sedgwick County Sheriff Watt took the prisoner out of the carriage and started south on foot with him. "Taylor was instructed to take the team out into the country. In going out of town, a squad of vigilantes caught the deputy and brought him back. From all parts of town men came running, wild with excitement. They formed in a dense mass around Deputy Taylor and clamored to know what had been done with the prisoner. As the crowd surged around the brave police officer, it felt as if the very air was laden with vengeance. "Soon someone cried 'the Brettun,' and almost to a man the crowd started in a run for the hotel. Here they found the door barred, but one of their number was allowed inside. He looked in the room of Butler County Sheriff Douglass, and found nothing. "The vigilantes then returned to the group holding Taylor and demanded that he tell them where they could find Cobb. Soon the horde went again to the jail and searched it from top to bottom. They then searched the courthouse and outbuildings. The search being fruitless, they re-turned exasperated, and for a few moments it looked as if Taylor would be abused. "Deputy Taylor was finally compelled to tell where he had left the prisoner. A rush was made for that part of town, carrying Taylor along to show the exact spot. A vigorous, but fruitless, search of barns and outbuildings in the vicinity continued for the balance of the night. "By this time Sheriffs Thralls and Watt, with the prisoner, had traveled out the Badger Creek road to William Dunn’s, arriving at two o’clock, and failed in securing a conveyance with which to transport the prisoner to Douglass. They went on until they found a team and wagon. Sheriff Watt then took the prisoner to Wichita, by way of Douglass, where Cobb was to remain for some time. "Cobb was returned from Wichita on Wednesday evening, January 31st, by Deputy Taylor and again lodged in jail. Mrs. Shenneman went in and talked to him for a few moments. As she looked into his eyes, the criminal broke down completely and wept like a child. Soon people began to gather and many citizens saw Cobb for the first time. About eleven o’clock he asked to see Mrs. Shenneman again and confessed to her that he was Charles Cobb. He asked her to write to the wife of the constable in Jefferson County and tell her that he was sorry for killing him. He asked her to keep his revolver. 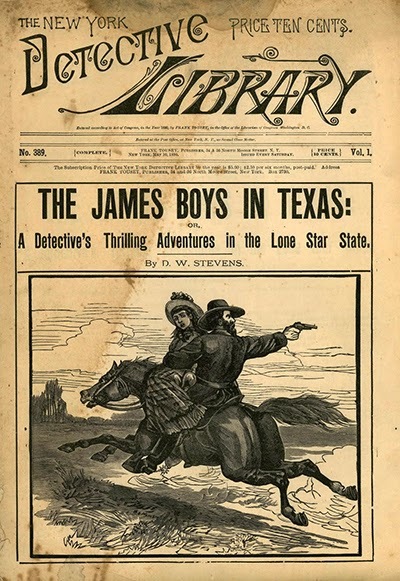 Afterward, to Sheriff McIntire, he said he was led astray by reading the exploits of Jesse James and other desperados in the dime novels. "Mr. William Shenneman (who was a police officer in Bay City, Michigan) and Deputy Taylor remained to help Sheriff McIntire should anything occur. By two o’clock in the morning everything was quiet about the jail and on the streets so Mr. Shenneman and Deputy Taylor retired to the house across the walk. "Startled late pedestrians saw a company of men, their faces covered with black masks and thoroughly organized, marching down Ninth Avenue toward the jail. They went to Fuller Street where the leader flashed a dark lantern. The mob then marched back and tiled into the courthouse yard.Four of them, with pistols drawn, rushed into the sheriffs office, located in front of the jail. The black-masked leader ordered Sheriff McIntire to throw his hands up and the order was quickly obeyed. He then demanded the keys and Sheriff McIntire handed them over. "The masked Captain then threw the jail door open and said 'Number 1, 2 and 3 to your posts!' and three men trotted into the jail. He then ordered 'Reserve, guard the door!' The three men came out leading the prisoner. The Captain and his three men stayed at the office door for about five minutes before he demanded: 'DO you promise you won’t follow us?' No answer was immediately given so the captain shouted 'Halt!' to the men on the sidewalk with the prisoner. He then turned to the Sheriff again and said, 'Now say you won’t follow us, and say it D--m quick!' He received no answer. 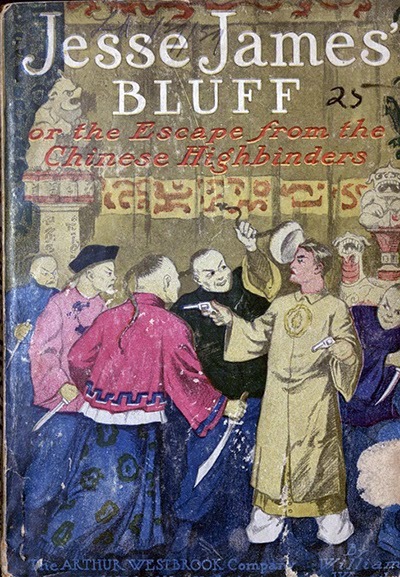 "The other three left, but the Captain delayed for a moment while standing in the door, with revolver drawn. He again ordered, 'Command. Halt! Send me two men!' The men came and took his place as the leader left. 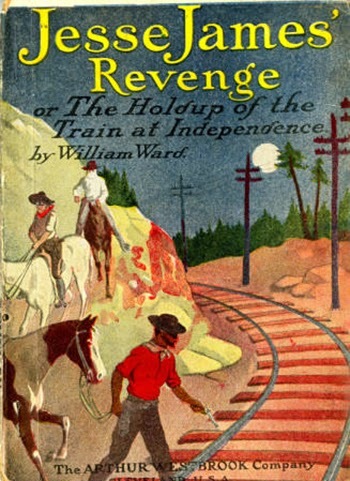 "The masked vigilantes got to the railroad bridge where a rope, prepared beforehand, was placed about Cobb’s neck and tied to the bridge beam.The moon was just up; and several boys who were following, crept up into the brush on the river bank and saw the rest of the proceedings. After the rope was tied, the unidentified leader, in a gruff voice, ordered Cobb to say what he had to say quickly. The boys in the brush heard Cobb say, 'Oh, don’t boys!' and 'Father, have mercy on Me!' Two men wearing masks then took him up and dropped him through between the bridge railings. "Cobb fell about ten feet and rebounded half the distance. The black-masked mob then filed on across the bridge, leaving two of their number to guard the rear. These stood until the others had gone on across, when they too retreated. The crowd came up and looked at the victim. His body continued to hang there while the coroner was summoned. The scene was visited by hundreds. The County Coroner arrived, empaneled a jury, and only then was the body taken down. "Mr. George C. Rembaugh owned and operated the 'Telegram' newspaper at that time. Many years later he was quoted as submitting the following story. 'A coroner’s jury was called to sit on the case. The main witness, when questioned as to whether or not he could identity any member of the mob answered, 'Why yes, Judge.' He then addressed the foreman, 'The leader looked a lot like you and was built a lot like you. He even moved around like you do.' A few more questions were asked and the jury handed down its verdict that the deceased came to his death at the hands of parties unknown. Mr. Rembaugh insisted that he, while hid out, saw the mob and he, like the main witness, thought the leader of the mob resembled the jury foreman. "'Will you box my son and send him by express to this place? If not, hold him until I come. C. M. Cobb.' The corpse was placed in a casket and sent to Valley Falls (in Jefferson County) on the Santa Fe train Friday afternoon" (Dr. William W. Bottorff and Mary Ann Wortman. Articles on Various Subjects from the Old Cowley County Newspapers and Interviews With Oldtimers. Sheriff A. T. Shenneman of Cowley County, Kansas 1880-1883). "The fate of Cobb, the boy who was lynched at Winfield on Wednesday last, was a sad, but a deserved one. 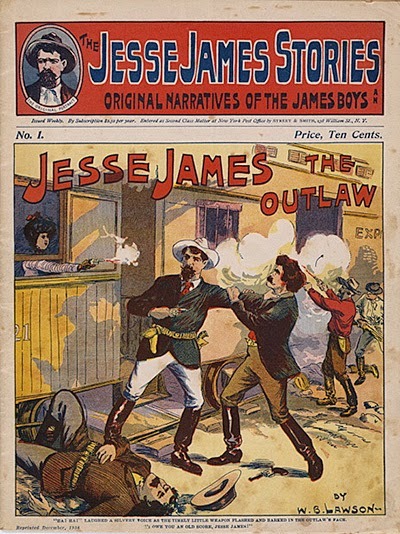 He stated just before he was hung that it was reading the sensational narratives of the exploits of Frank and Jesse James that led him to destruction. 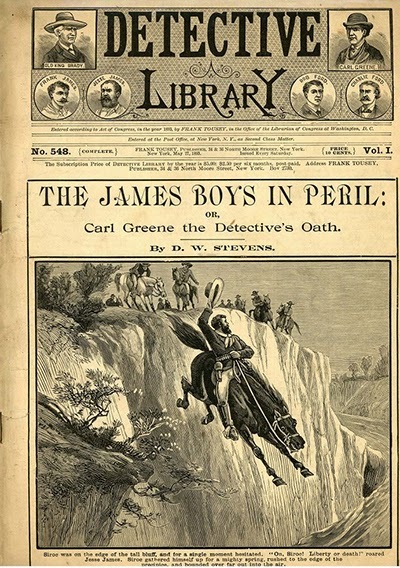 "We have frequently seen Atchison boys pouring over these works of the devil, and afterward imitating the supposed exploits of the James boys in their play. This is extremely dangerous, and the sooner the fact is impressed upon the youthful mind that these men were not heroes, but brutal, cowardly robbers and murderers, the better it will be for the rising generation. "All such books and plays should be suppressed, and that murder and robbery is heroic eradicated from the youthful mind, by a vigorous application of the paternal slipper. Let the boys learn that honest, patient labor is heroic, and that dishonesty and crime are despicable, but keep forever out of their reach these untrue stories that have already ruined so many" (Winfield [Kansas] Courier, February 8, 1883). 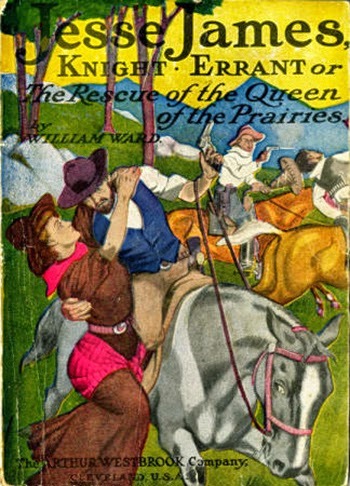 Images courtesy of Carleton College Dime Novel Collection, with our thanks.